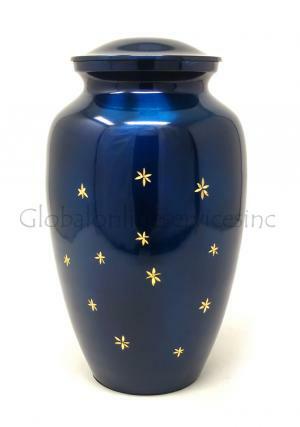 Blue with silver stars brass adult urn with asymmetrical decorated blue with unique blue marble presence. 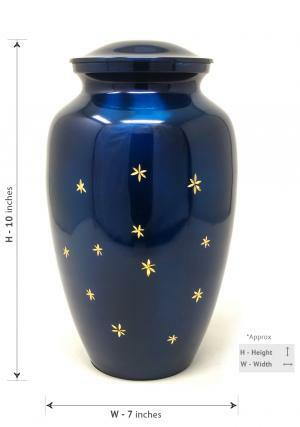 The large adult urn is measured to be a solid brass metal urn with star decorated outlook. 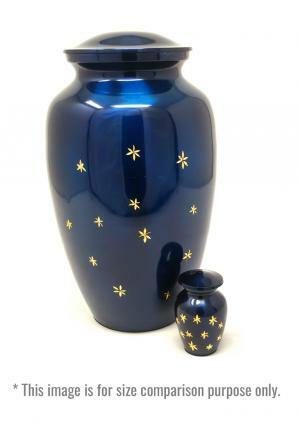 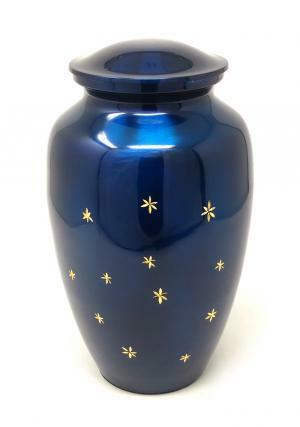 The large brass urn (blue with silver stars) has on lid used for secure closure of the demised loved one’s ashes in the urn with screw threading on the top. 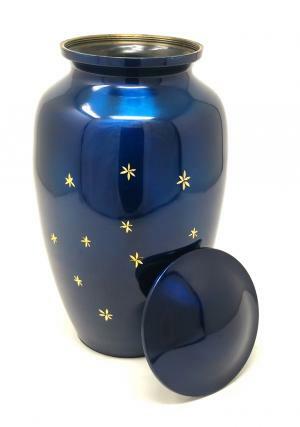 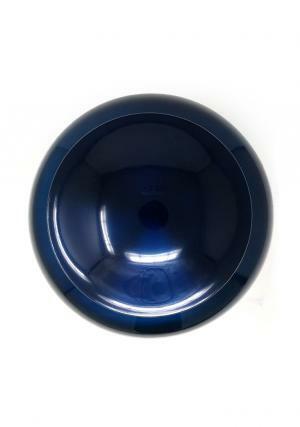 Adult urn capacity: 200 cubic inches, weight: 2.79Kg; dimensions (inches): height: 10", free standard delivery in UK or selected expedite shipping!